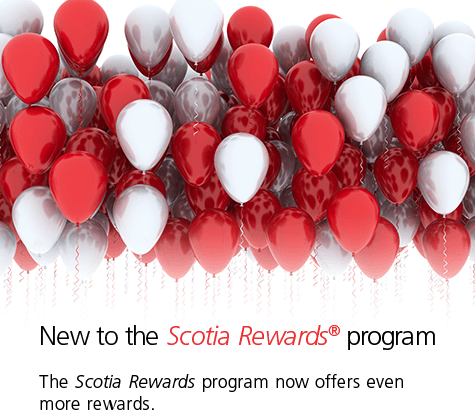 Rewards Canada: Scotia Rewards program relaunch highlights – its seeing some great improvements! Scotia Rewards program relaunch highlights – its seeing some great improvements! Some of these changes to the program are now live and we wanted to remind you about them since you may already hold one of their cards or as we recommend you should really jump on the Scotiabank Gold American Express Card right now since the first year free offer has returned with the 20,000 point sign up bonus. The big new option is Points for Credit and it can prove to be really big! This translates to a minimum return of 0.33% to 0.44%. We say minimum since the basic Scotia Rewards Visa only earns 1 points for every $2 spent while all other Scotia Rewards earning cards offer at least 1 point per dollar spent. However, the Scotiabank American Express Cards (Gold & Platinum) earn 4 points per dollar spent on select categories (Gas, Grocery, Dining/Entertainment) which actually makes these cards VERY STRONG cash back cards as you'll get 2.64% to 3.2% cash back on those category purchases and you're only limited by the $50,000 to $100,000 category limits on those cards! Sure you can get 4% for travel but if you don't want to travel we have a new option for these cards that are strong cash back earners! The Booking Travel via Scotia Rewards offers an enhanced travel booking experience through Scotia Rewards Travel Service providing customers with a Personal travel itinerary after booking travel through Scotia Rewards Travel Service. The Personal travel itinerary will include: Destination information, recommended activities, weather forecasts, and more! Best Price Guarantee on Airfare: If, within 24 hours after completing an airline ticket purchase on the Scotia Rewards Travel Service website or with a Scotia Rewards Travel Service Representative, you find a price for the exact same itinerary that's at least $10 less, Scotia Rewards Travel Service will offer you a Scotia Rewards points credit equal to the price difference, per passenger. See travel.scotiarewards.com for complete details and instructions on how to submit your claim. 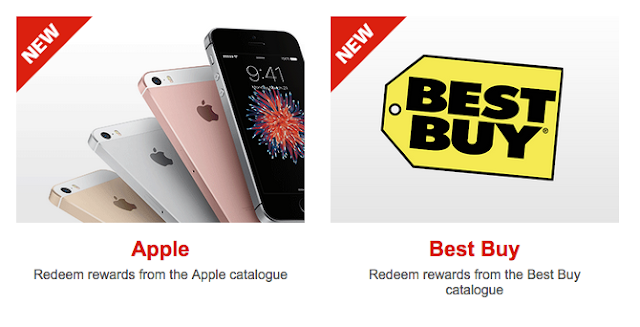 Scotia Rewards now offers the Best Buy and Apple catalogues online to provide merchandise redemptions with these two big electronics players! The redemption provides for increased customer flexibility as it allows Scotia Rewards Cardmembers to pick up select Best Buy items in store within 24 hours of redemption. 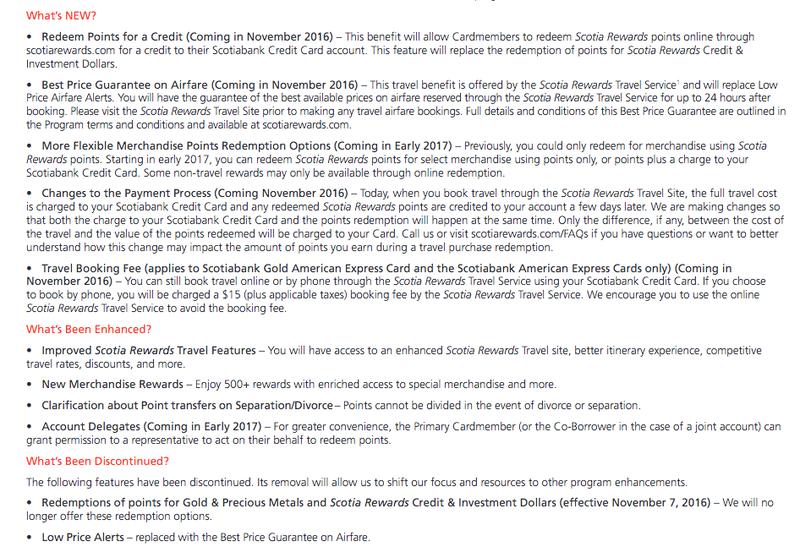 The only negative change we can see in the updated program is the addition of the $15+tax booking fee if you call into Scotia Rewards to book travel. They are just following suit of many of the other programs here who also charge fees to call in for booking. We all dislike booking fees but as a business if the others are making money doing it why aren't we. 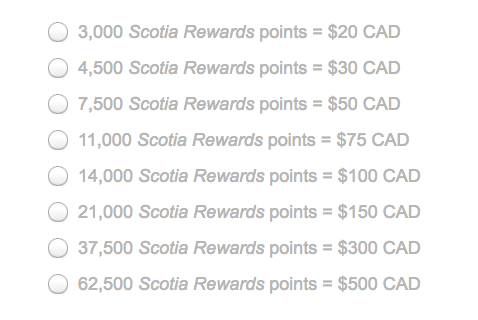 Overall we are really impressed with the changes from Scotiabank for the Scotia Rewards Program. It is inline with their mandate to become 'Canada's Rewards Bank' not only with their proprietary program but also with their co-brand partnerships with SCENE, GM & More Rewards. What are your thoughts on the changes to the program? 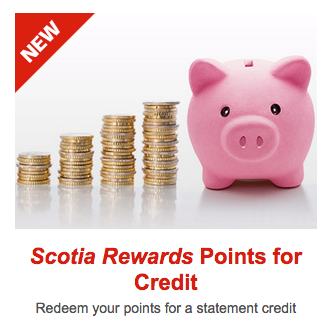 Will it make you consider it if you aren't a collector of Scotia Rewards yet? Talk to us in the comments section below or on our Social Media!